Analysis functions for WDM and other optical devices (LD, LED, FBG, etc.). Provides ±0.05 nm wavelength accuracy in the 1550 nm band, with ±0.02 nm wavelength linearity, makes it especially useful for WDM devices, such as high-precision loss wavelength characteristic evaluation. The monochro mode can be set to single-pass or double -pass to match your measurement application needs. 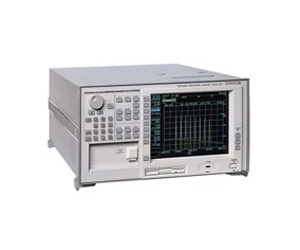 Covers from 350nm to 1750nm and noise level has been suppressed to allow the AQ-6315A/-6315B to measure light at down to - 90Bm Polarization dependency has been slashed to ±0.05dB, enabling accurate measurement of optical amplifier gain and other critical measurements. High-level accuracy Accurate to within ±0.3dB. High-power measurement: Max.+20dBm (100mW) Even high power output from an optical amplifier can be measured directly without an optical attenuator High wavelength resolution Achieves wavelength resolution of 0.05nm.